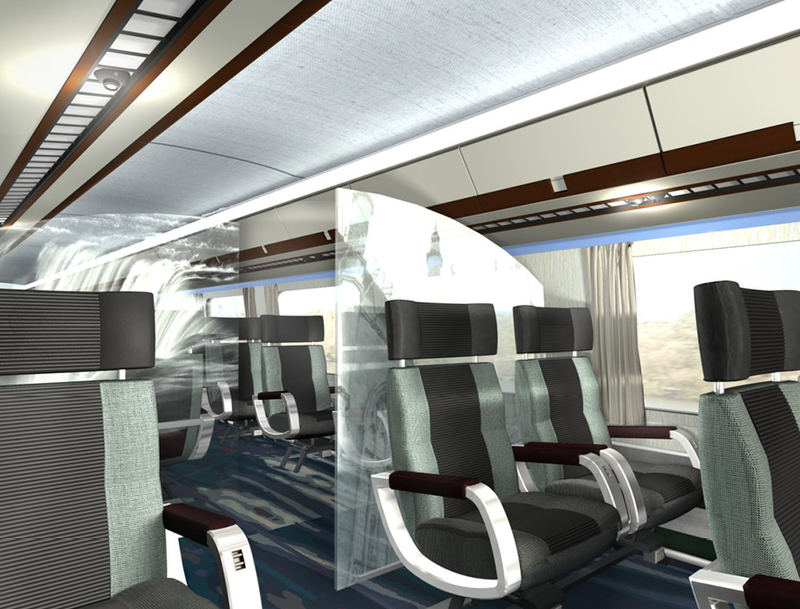 VIA One Interior - Strasman Architects Inc.
A team led by Strasman Architects won the design competition to provide the concept for the interior retrofit of the Via 1 cars. 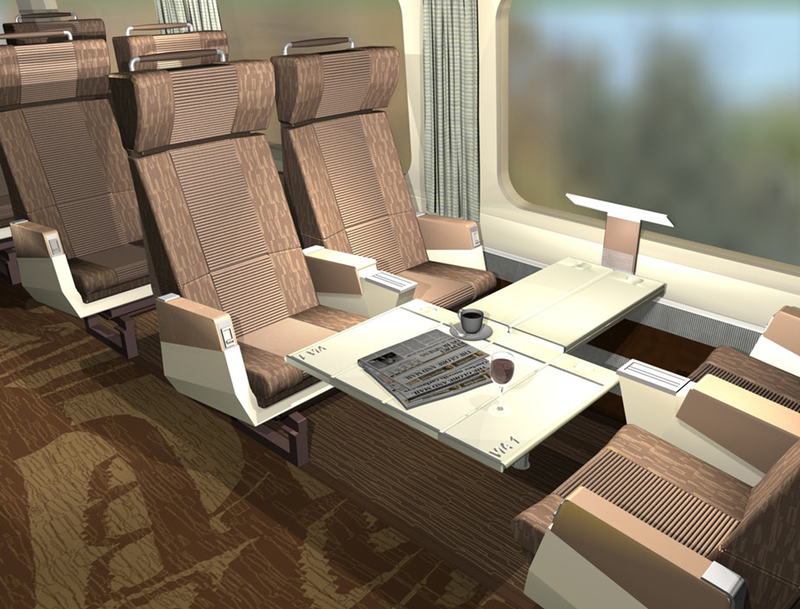 From the four design themes presented two were selected for further development one for the Via 1(Business) and one for Economy. The interior retrofit presents numerous design challenges: the car interior had to meet the demands of aesthetics, maintenance, comfort, safety, function and accessibility. 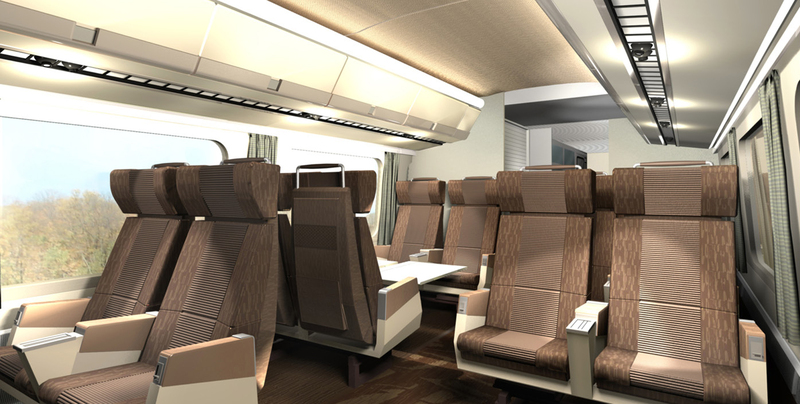 The Strasman Architects team developed two distinct but harmonious design schemes for the cars, creating a fresh, bright, and contemporary Economy car and a refined, elegant and calming Business class car. The patterning and rich colour palette enhanced the design theme and provides longevity through colour, pattern, construction and technologically advanced fibres. The finishes were designed to retain their appearance through continuous, rigorous use. Careful selection and specification of materials was the key to a successful interior as it ensured durability, safety, and maintainability. Drawing on VIA’s expertise and manufacturing technologies, the team incorporated the latest materials and design elements to move the LRC cars into the future.